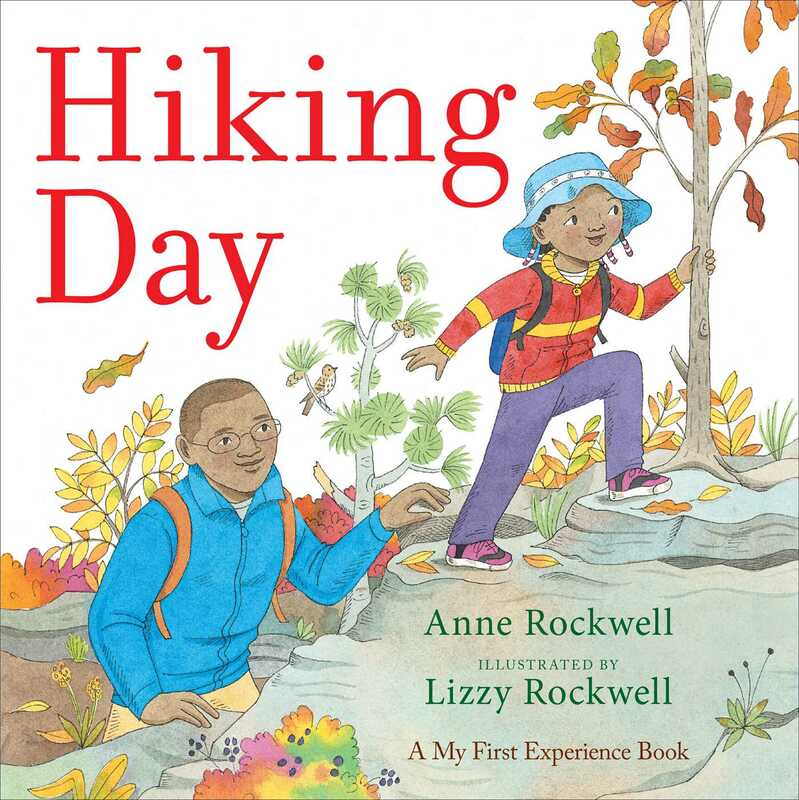 Beloved author Anne Rockwell celebrates nature and the outdoors with a gorgeous new picture book about a child’s first mountain hike! A young girl and her family go hiking up a nearby mountain for the very first time. As they climb up and up the path, they see everything from a friendly toad to a prickly porcupine, tall leafy trees to tiny red berries. Anne Rockwell and her daughter, artist Lizzy Rockwell, celebrate a day the little girl will never forget, especially when she reaches the mountain’s summit. With simple, lyrical text and bright illustrations that jump off the page, Hiking Day brings the joys of spending an afternoon outdoors to life.